Painter and illustrator Gordon Frederick Browne (1858–1932) was born on 15 April 1858 in Banstead, Surrey. His father, artist Hablot Knight Browne (1815 – 1882), is responsible for illustrating many of Charles Dickens novels under the pseudonym “Phiz.” Gordon Browne was educated at The Heatherley School of Fine Art in Chelsea, London, as well as at Royal College of Art in South Kensington. He exhibited at the Royal Academy, Royal Institute of Painters in Water-colours, the Royal Society of British Artists, the Royal West of England Academy, and Suffolk Street. In 1896 Browne was elected to the Royal Institute of Painters in Water-colours. 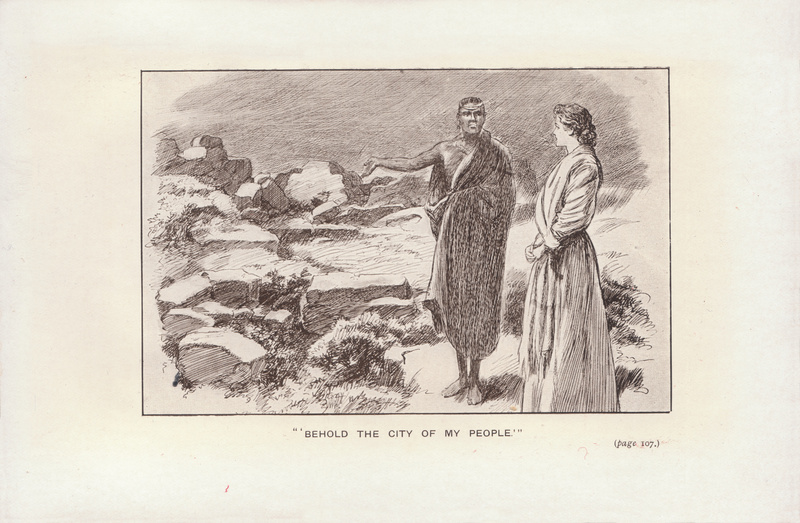 He was a prolific book illustrator, but perhaps most remembered for illustrating adventure fiction novels by G. A. Henty, Robert Louis Stevenson, Andrew Lang, E. F. Benson, and, of course, H. Rider Haggard. Browne also contributed to periodical publications such as The Quiver, The Illustrated London News, The Sporting and Dramatic News, Cassell’s Saturday Journal, Cassell’s Family Magazine, The Boy’s Own Paper, The Girl’s Own Paper, The Pall Mall Magazine, The Sunday Strand, Black and White, Good Words, Lika Joko, The Saturday Journal, The New Budget, Chums, and The Captain. Browne died 27 May 1932 in Richmond, Surrey. Houfe, Simon. “Browne, Gordon Frederick RI 1858–1932” The Dictionary of British Book Illustrators and Caricaturists 1800-1914. Woodbridge, Suffolk: Antique Collectors’ Club, 1981. 245. Print. Lester, Valerie. Phiz: The Man Who Drew Dickens. London: Chatto & Windus, 2004. 103, 150, 169, 199-200, 207, 216. Print. Waters, Grant M.. “Browne, Gordon Frederick , R.I., R.B.A. (1858–1932).” Dictionary of British Artists Working 1900- 1950. Eastbourne: Eastbourne Fine Art, 1975. 49. Print.